The Cali Connection and its head breeder, Swerve, have accomplished something great with their Blackwater OG strain. The group is dedicated to bringing some of the most popular Southern and Northern California “clone-only” cannabis varieties to seed form for legal, medical marijuana growers. Some of these other strains include Tahoe OG, San Fernando Valley OG, Larry OG, Chem 91’ Skunk VA, and one we’ll review in-depth today–Blackwater OG. In 2014, Swerve set out to breed one of the “darkest Purple OG Kushes,” and he’s marvelously achieved that feat with this purple indica strain. Named after a popular Doobie Brother’s song, it’s a cross between the clone-only Mendo Purps and the Cali Connection’s flagship strain, San Fernando Valley OG. It’s won multiple awards including 3rd place in the 2014 Los Angles Cannabis Cup. These round crystal-coated buds take on the best traits from both parent strains and help medical cannabis patients with a wide-variety of physical and mental ailments. For growers, Blackwater OG has potential to find a place in the most advanced or novice gardens. 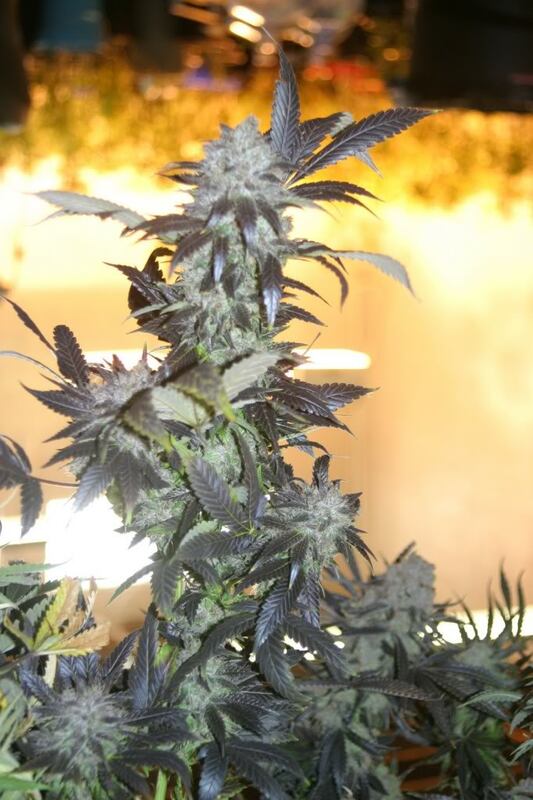 There are a few phenotypes of this strain, but the most desirable will have a dense OG Kush bud structure, with dark purple colors appearing late in flowering as nighttime temperatures slowly drop. Blackwater OG has a tendency to poorly produce below a canopy so creating multiple “tops” or growing in a “Sea of Green” may be your best bet at maximizing its yield. The Cali Connection recommends harvesting in the 8 to 9-week window, but from personal experience, I find it best to go for a full 9 to 10-weeks, which allows this strain to reach its full potency and potential. Visually, Blackwater OG buds appear dense and coated in cannabinoids, with a coloring of deep-purple and light-green that create an overall enticing appearance. Plus, this flower has a truly delightful scent that brings out the best of its parental lineage. Up front, the strain has richly floral, grape notes, but an overpowering pine-like smell lingers as the nugs are broken apart. Upon smoking this strain, the grape scent transitions perfectly into a mouth-coating, sugary flavor, with an earthy, pine-like finish. The vapor and smoke of this strain will linger in an enclosed space for quite some time and will leave a floral, incense smell that is oddly reminiscent of the ever so popular Nag-Champa fragrance. Most cannabis users find that Blackwater OG is one of the few “night-time only” strains due to its narcotic, sleep-inducing buzz. It’s perfect for medicinal cannabis patients who need a strain that will promptly provide sleep-aide, appetite stimulation, and pain-relief. After smoking a small dose of this strain (0.08-0.25 grams), patients can expect a slight cerebral buzz that a good sativa will deliver, but don’t be fooled, as it lasts for only a brief period of time. The indica effects quickly creep in and a floating, warming, body buzz takes over, which will have most patients looking for the nearest couch and snack bowl. This strain has been reported by medical marijuana patients to be great for migraines, general headaches, muscle spasms, loss of appetite, anxiety, depression, and multiple sclerosis. The smoke from this heavy indica is expansive in the lungs, so a vaporizer may be a better choice over a glass piece when medicating with this strain. For California cannabis patients, a recommended dose for flowers is anywhere from 0.08 grams to 0.25 grams, depending on the patient’s tolerance and the THC content of the strain. 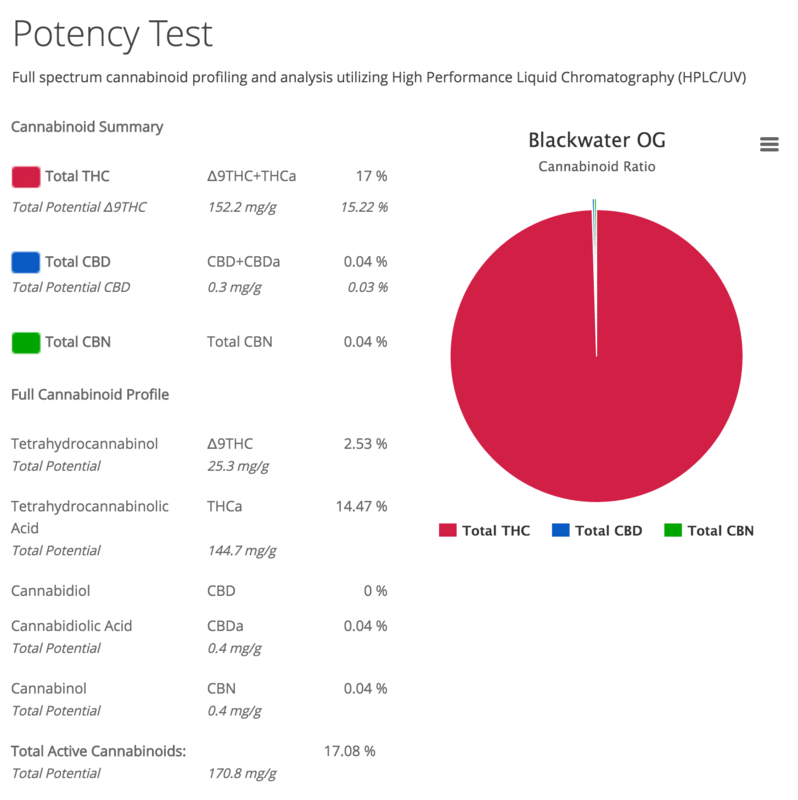 Bud Genius has consistently found that Blackwater OG tests around 18.5%-22% THC (which is fairly high), so a proper dose would likely be in the lower range of the above recommendation. Depending on a patient’s medical needs, a patient should re-dose every 1.5-4 hours. For most, Blackwater OG’s effects last approximately 2-3 hours, with a sleep-inducing sensation coming on near the tail-end, so re-dosing will likely make you drift closer to a fully-medicated slumber. While we love sharing awesome content on our blog to help cannabis patients better understand the plant they love, we’re also pioneering the way for easy, quick, and professional cannabis delivery. Nugg lets you order medical marijuana delivery online from local cannabis dispensaries in more than 60 California cities. Think of it like GrubHub for cannabis. It’s free to use, every order is backed by 24/7 customer service, and you can choose from thousands of marijuana products across hundreds of dispensaries. And if you’re interested in finding a specific strain near you, including Blackwater OG, visit our site (no signup necessary) and input your delivery address to get a list of dispensaries near you. From there, you can use the search bar to discover specific products and compare prices at nearby dispensaries! 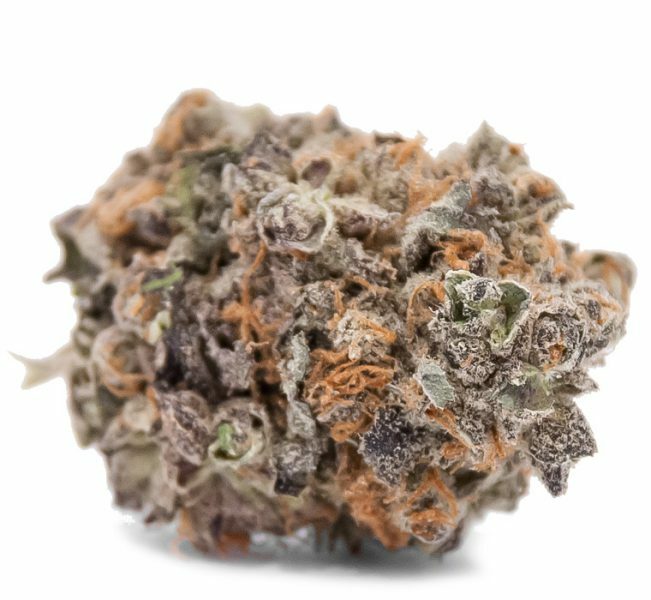 Overall, Cali Connection’s Blackwater OG is deserving of its awards and reputation, and a treat to grow and use. This strain should be recommended for any indica-lover searching for a potent and easy-to-grow “purple” cannabis variety. I guarantee it’ll add a connoisseur-grade strain to their cannabis garden, and cannabis patients will also be overwhelmed by its sensual appeal and effectiveness in treating countless ailments.